The Quiet Site has just signed a new 5 year deal to purchase 100% of our energy from renewable sources. Ørsted is a company with a deep heritage in green energy. 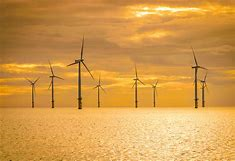 They are a global leader in offshore wind generation. Taking tangible. action to create a world that runs entirely on green energy makes real sense. Previous Post Availability for December Next Post Old wood store, recycling area, campers kitchen and garage reach the end of their road.